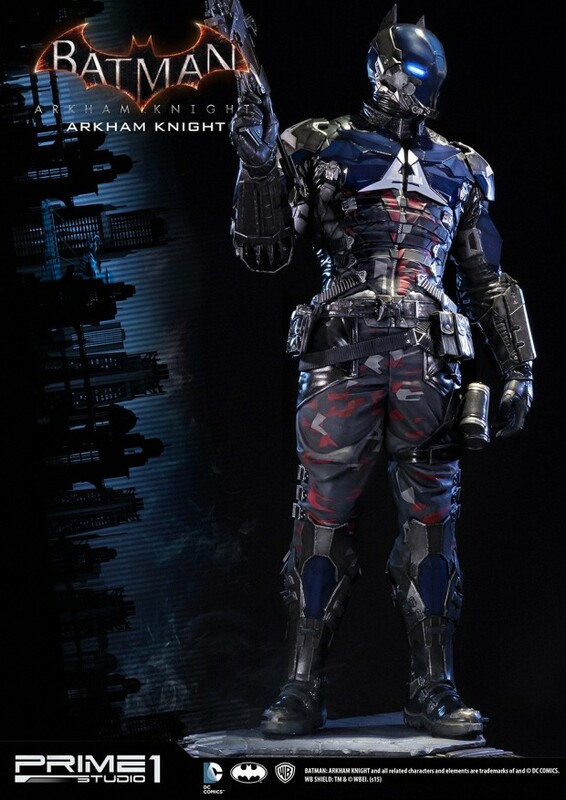 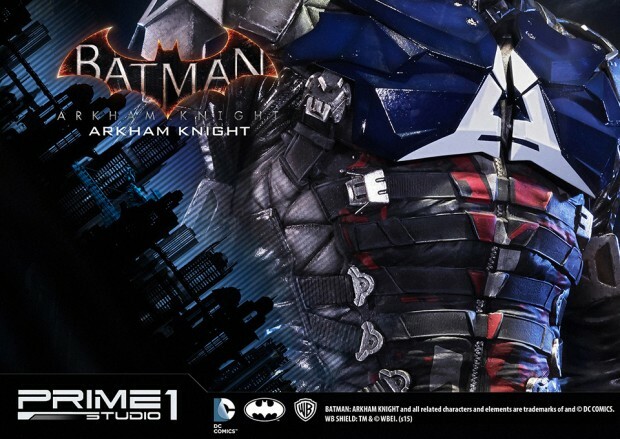 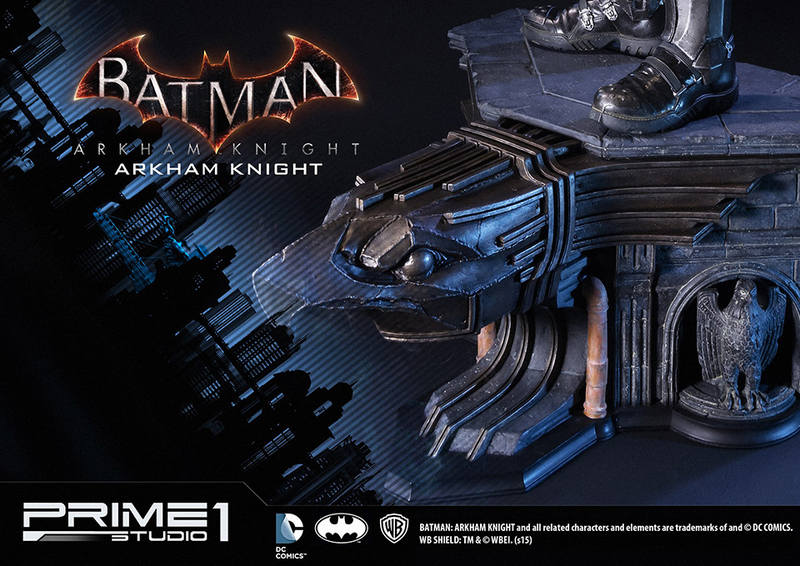 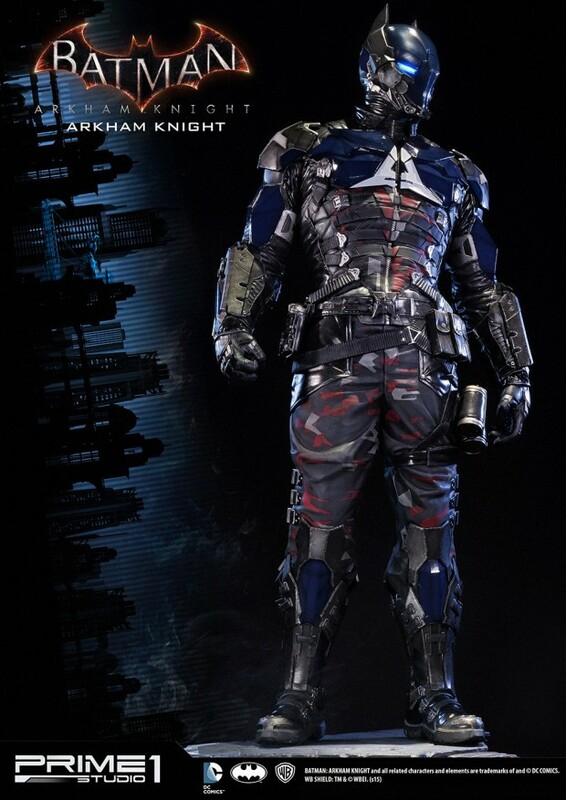 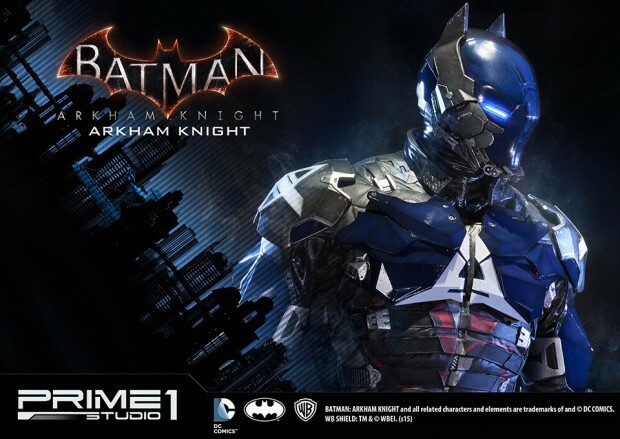 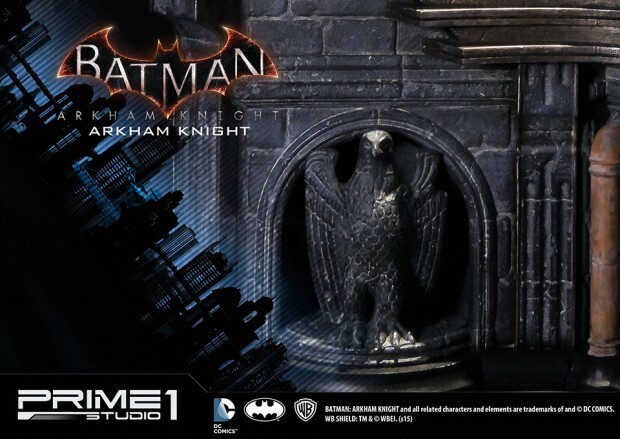 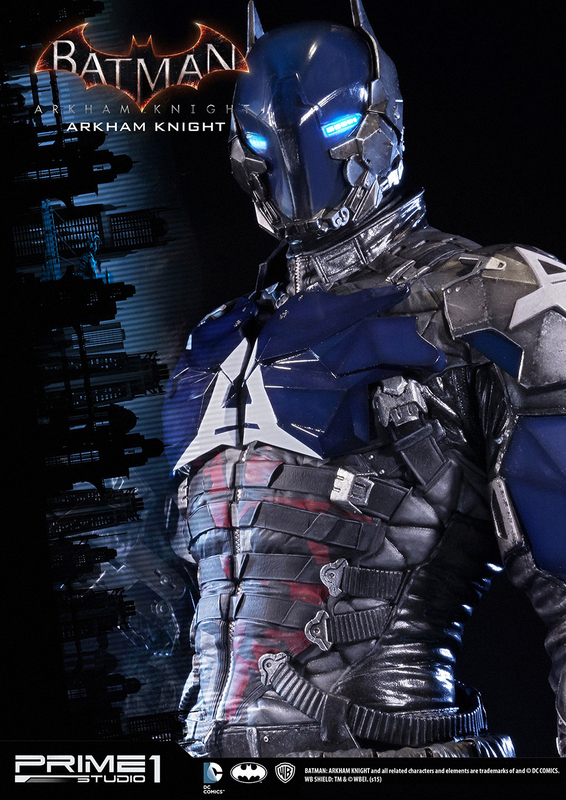 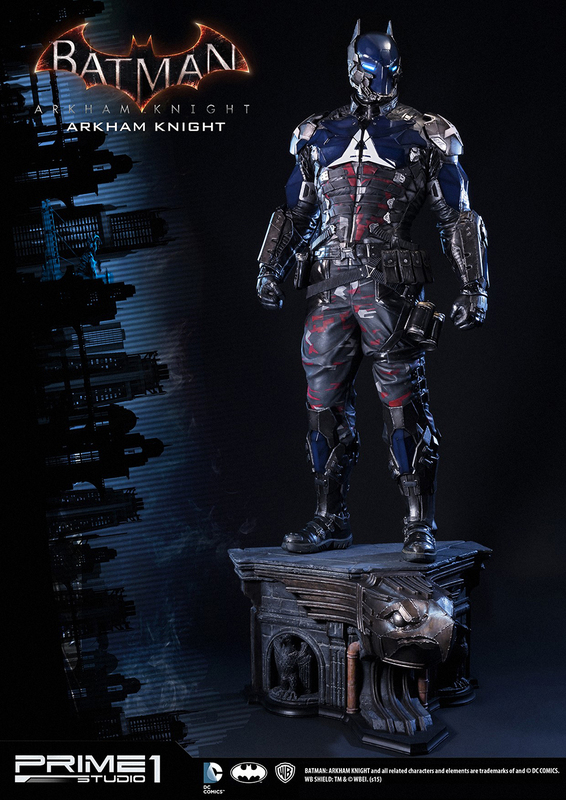 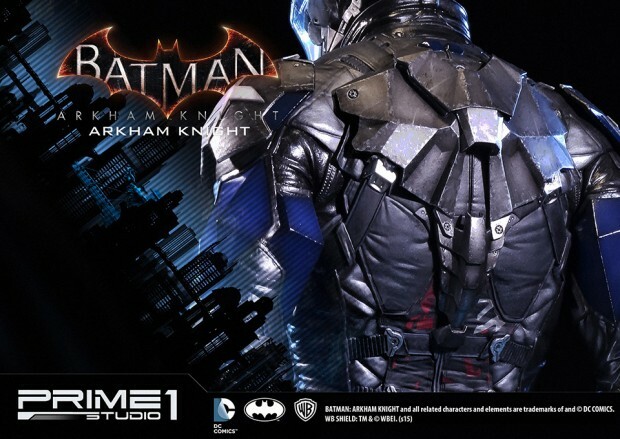 Japanese collectible maker Prime 1 Studio has released its amazing polystone statue of the titular villain in Batman: Arkham Knight. 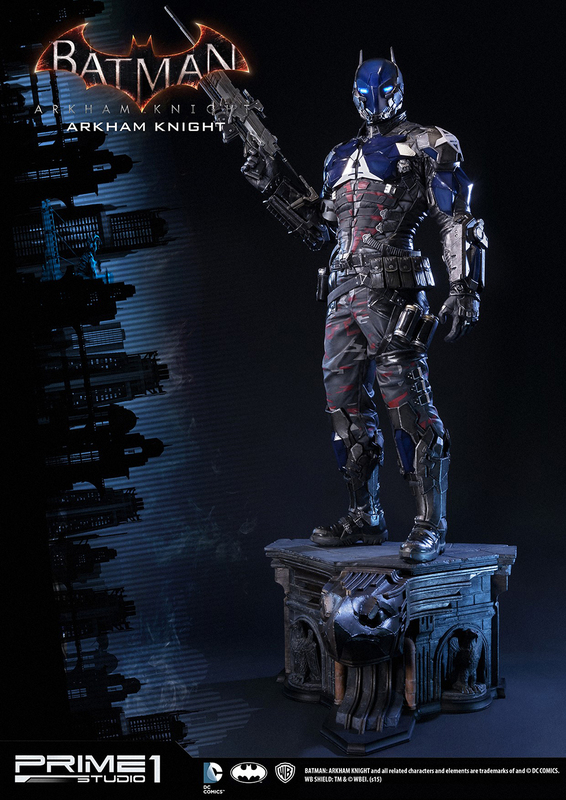 The statue is 33″ tall and has LEDs for its eyes. 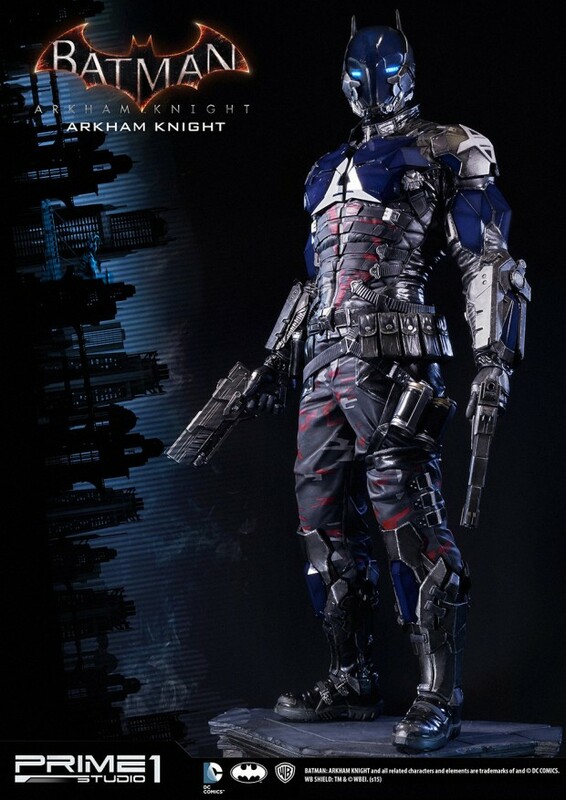 It comes with a sniper rifle, a pair of handguns, an alternate arm and alternate hand to hold the rifle, a pair of alternate hands to dual wield the handguns, one relaxed hand and two clenched fists. 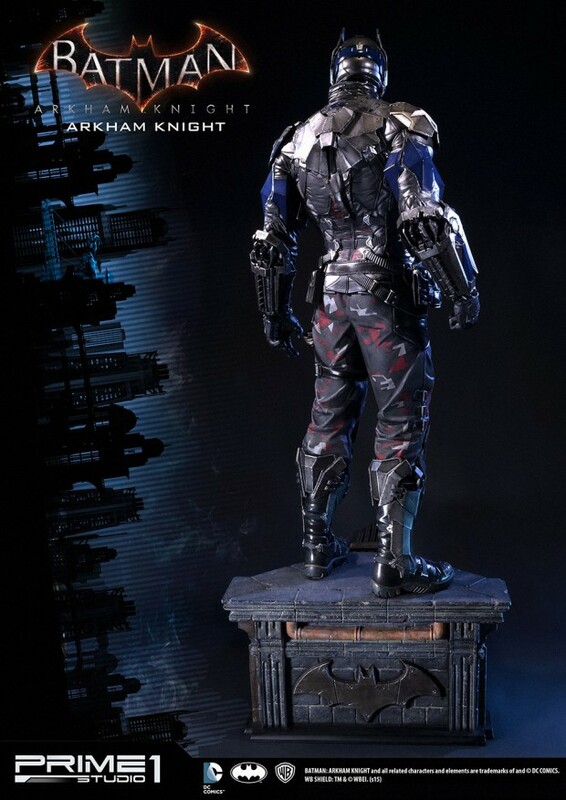 The eagles on its base are also removable. 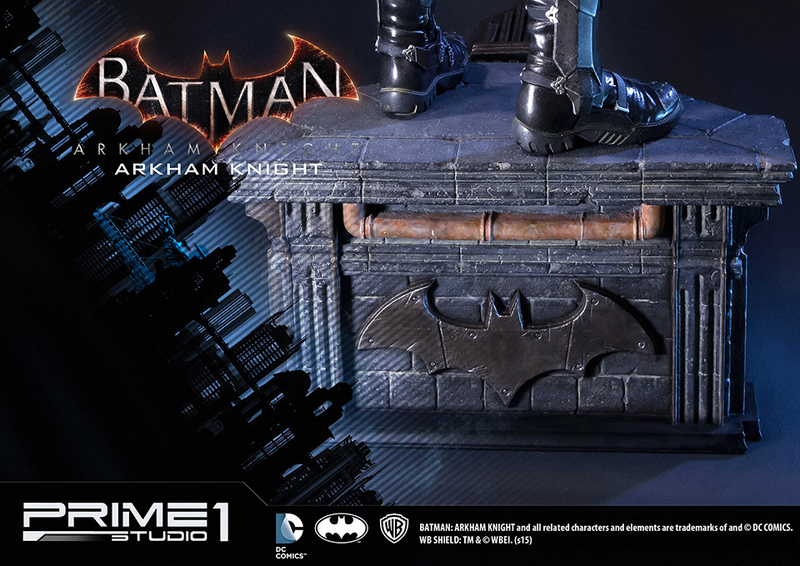 Sideshow Collectibles also has two exclusive alternate parts: a chest and a portrait, though I don’t think they’re shown in the beauty shots. The statue costs an insane $900 (USD).